Tahoe history tells how the Sierra persisted as major obstacle for pioneers trying to reach the California land of milk and honey with dreams of gold mining. But there was no holding back and the westward migration was steady. In 1849, with the advent of the California Gold Rush, the emigrant influx morphed into a flood, and passes to the north and south of the Basin sustained considerable pioneer traffic. The first East-West road to carve directly across the mountains was the “Bonanza Road,” built after the 1859 discovery of the Comstock Lode in Virginia City. Today, this route is known as Highway 50. The Comstock Lode, which emerged as the richest known deposit of silver in the U.S., turned Virginia City into a metropolis of 20,000, gaining Nevada statehood and developing the area into a center of wealth and culture. The effect on Tahoe was not quite as positive. Between 1860 and 1890, nearly all of the trees in the Tahoe Basin were logged to provide wood for the complex underground tunnels and excavation. The demise of the Comstock Lode just before the turn of the century could not have occurred soon enough; evidence of this extensive logging can still be seen today in the area’s forests. During the 1850s, San Francisco’s population had grown significantly to where the city’s inhabitants required communication with the rest of the world. The snowy winters and high climbs of the Sierra Nevada, made carrying the mail a dangerous job. After two brave souls failed to regularly complete the route via mule pack. This changed when Norwegian-born John “Snowshoe” Thompson, now part of Tahoe history, used the snowshoes his father had rigged for him in combination with a rudimentary pair of skis to make the 90-mile trek up and over the Sierra to the Carson Valley. Twice monthly, carrying a pack weighing more than 100 pounds, Thompson completed the eastern-bound route in only 3 days. The western section of the transcontinental railroad was completed in 1868, extending the Central Pacific Railroad via Donner Pass at Donner Lake. The line, which still functions today, winds roughly along the Truckee River, clinging to granite walls, crossing bridges, and passing through tunnels that protect the train from the winter snows. Much of this portion of the railway can be seen from Highway 80 and is an impressive feat of engineering. The current tunnels are a ridgeline to the south from the Snowshed tube. But, you can explore the abandoned eerie lengths of the original “Snowshed Tunnels” that snake along the mountains over Donner Lake. The first automobile arrived in Tahoe in 1905 in the form of a chain-driven Simplex. The car’s not-so-humble owner, Mrs. Joseph Chanslor, completed the trip from Sacramento in only eight hours. 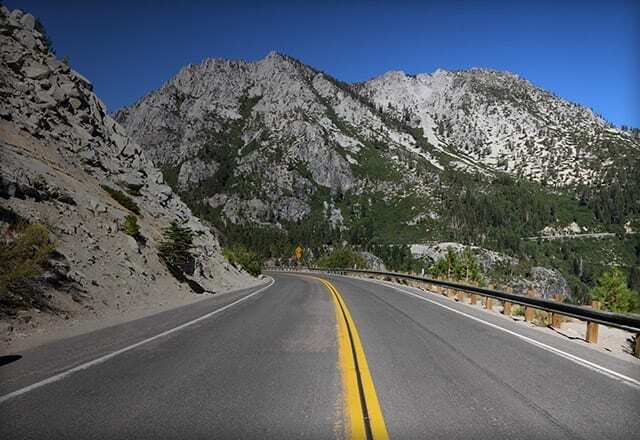 In 1913, the Lincoln Highway crossed the Sierra as part of the first coast-to-coast paved route. Though replaced by US 40 in 1930, sections of this road are open during the summer as scenic, historic drives. The introduction of these fast, load-bearing transcontinental routes immediately increased the flow of raw goods, manufactured products and people in and out of California. Railway and roadside stops throughout the Sierra exposed more travelers to the beauty of the Tahoe Basin and created a buzz about the area as a viable vacation destination. In 1904, when Tahoe House owner Watson returned from trying his luck at gold mining, North Lake Tahoe was so well populated that the citizens decided a full-time constable was necessary, and they elected Watson to the position. Watson, who was known to local youth as “Grandpa,” is famous for having declared the Tahoe City jail unsuitable even for miscreants and allowing prisoners to sleep on his kitchen floor. Modern recreational skiing in the Sierra dates back to 1938, when the bravest Bay Area souls found their ways up to present-day Sugar Bowl mountain peaks via the Southern Pacific Railroad. Walt Disney, Austrian Hannes Schroll and a few others had the foresight to recognize the area’s potential as a world-class ski resort, and in 1938 Sugar Bowl officially opened. The resort would go on to build the first ski lift in California, and to this day is a second home to some of the Bay Area’s most established families. Meanwhile, the Lake Tahoe Ski Club had already put the North Shore on the map for winter recreation, having hosted the 1931 and 1932 Winter Olympic Tryouts. National Jumping and Cross-Country competitions all took place at present-day Granlibakken, then known as Olympic Hill and owned by the Tahoe Tavern. In 1960, Tahoe’s reputation for winter sports gained international recognition when Squaw Valley hosted the Winter Olympics. 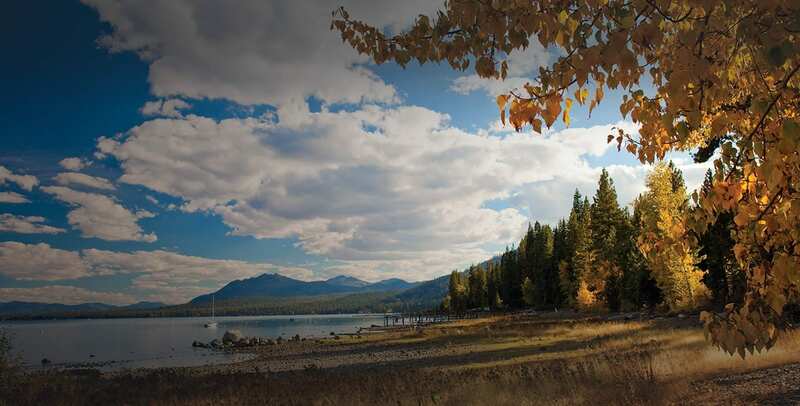 North Lake Tahoe tourism benefited greatly from the exposure, as these were the first Olympic Games to be televised. Many of the resorts, motels, restaurants and ski lifts built to accommodate the influx of Olympians and fans still proudly host guests today. The Tahoe Quarterly features a “Looking Back” section in each issue.